After a short hiatus, ArtSeen Alliance has announced the 2018 return for Art Outside. With a genuinely positive atmosphere mixed with amazingly intricate art installations, Art Outside cemented their place in the hearts of fans. Boasting a funky and eclectic lineup in the past with artists like Bonobo, Lettuce, and Papadosio; we are excited to see what Art Outside has up their sleeve this year. Art Outside has moved their dates from a spring festival (and braving the weather that comes in the springtime) to late October dates. 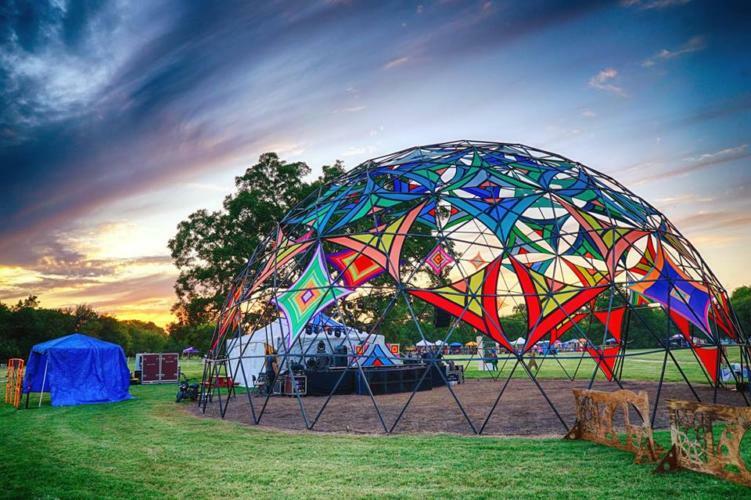 Held near Austin, TX, this art immersive camping festival carries all the best vibes. Check out our interview with ArtSeen Alliance about their incredible art installations. Not to mention the countless healing and holistic workshops and immersive art experiences; Art Outside 2018 is sure to be one for the books. We will keep you updated as we get information. Art Outside will be held from October 26-28, 2018 at Apache Pass Event Center, one hour outside of Austin, TX. Get your tickets here.